• Easy-to-understand writing prompts: green means start and red means stop. 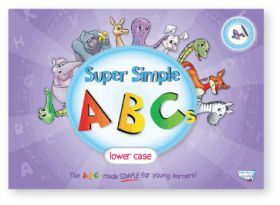 • Letters perfectly sized for children just developing the fine motor skills needed to write with a pencil. • A variety of writing activities on each page: tracing, free-writing, writing within bubbles, and writing on lines. • Four easy-to-gesture, easy-to-learn vocabulary items for each letter.